Having taken a third place finish in the weekend’s earlier Qualifying Race, Dennis and Team WRT team-mate Pieter Schothorst set off from third spot on the rolling start grid for the one-hour final encounter in their Audi R8 LMS machine. With conditions cooler than in the previous day’s race, Schothorst began the race in the #3 machine, but quickly lost third place to the #84 HTP Motorsport Mercedes-AMG of Franck Perera who managed to drive around the outside of the tight sequence of turns two and three. Schothorst ensured that he brought the car into the pit lane when the pit window opened with 25 minutes gone, on the gearbox of Perera’s machine. The WRT Audi squad, renowned for its quick pit stops, ensured that when Dennis stepped into the car with a fresh set of tyres on, he re-joined the track ahead of the #84 car which suffered from a slow tyre change. Dennis also re-joined ahead of the second placed Grasser Racing Lamborghini Huracan GT3 of Mirko Bortolotti after team-mate Christian Engelhart missed his marks when stopping in the pit lane. With all cars having made their mandatory pit stop, the team’s hard work ensured that Dennis would continue in second place and on the trail of leading #5 WRT Audi R8 of Dries Vanthoor. With Bortolotti seeking to re-take second place, Dennis’ put up a stern resistance, with the Lamborghini soon fell into the clutches of another WRT Audi – the #17 of Robin Frijns. The top four cars would run nose-to-tail throughout the remainder of the race, but Dennis was able to prevent any further overtures from behind, and score the car’s second podium of the weekend and best result of the Blancpain GT Series season. Fellow RSF-backed racer Ben Barnicoat’s race was less successful. Barnicoat began the race in the #58 Strakka Racing-run McLaren 650 S GT3 machine from 19th position on the grid. Having made up four places through the opening laps, Barnicoat then grabbed a further spot up the inside of the #19 Grasser Racing Lamborghini Huracan GT3 of Raffaela Giammaria at Turn 1 on the restart following a brief safety car period to clear the errant fellow Strakka Racing #42 McLaren of Martin Kodric. However, when Barnicoat entered the pit lane to switch places with team-mate Alvaro Parente, stewards soon investigated the stop, deeming that the team had called Barnicoat in too early and before the opening of the pit window. By the time Parente had exited the pit lane and made his way up to 10th position, the car was handed a drive-through penalty for the infringement, dropping Parente to 23rd position and a 24th place finish. 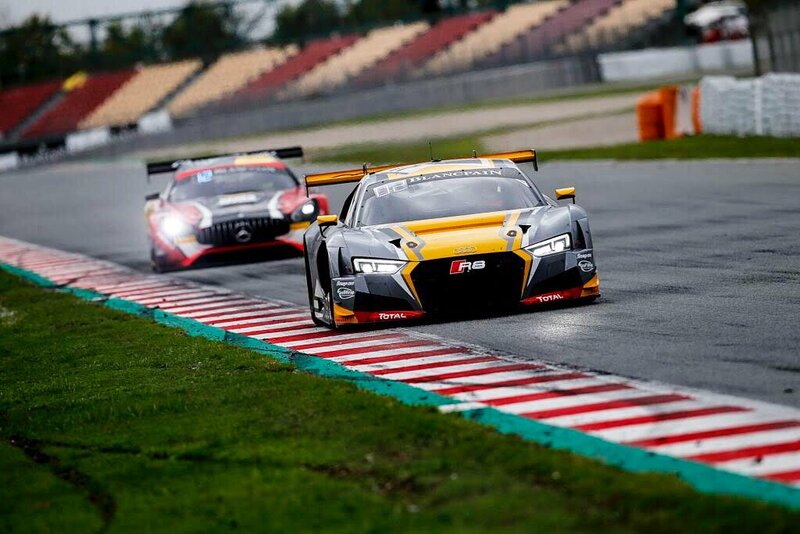 The #5 Team WRT Audi R8 of Marcel Fässler and Dries Vanthoor held on to their race victory narrowly ahead of Dennis and Schothorst’s #3 Audi machine, with Engelhart and Bortolotti’s #63 Lamborghini scoring third place on the podium.